Sarah Whitaker, project manager of the Torbay Retail and Tourism Business Improvement District (TRTBID), gives an update on the BID ahead of the ballot which will take place in October. 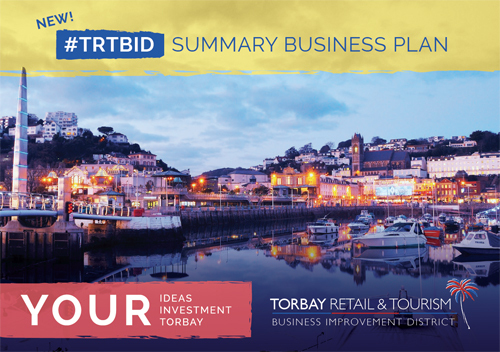 On the 14th October 2015, eligible businesses will be invited to vote in a month long postal ballot to determine whether the Torbay Retail and Tourism Business Improvement District (TRTBID) will come into effect. The TRTBID Business Plan is currently being finalised and will be sent out via post to businesses eligible to vote at the end of September 2015. The plan will also be available to view and download online. The result of the vote will be announced on the 12th November. The plan will be a detailed document showcasing the final projects that will be implemented should the TRTBID be voted in favour of later this year. The Business Plan aims to be concise and focused, with some very clear messages promising to deliver some large, exciting and new projects for Torbay. Amongst those will be a major national marketing campaign that for the first time will bring the Retail and Tourism industries together, marketing all that Torbay has to offer as a whole. Funds will also be set aside for the four geographical areas within the TRTBID of which Brixham is one, to support specific projects and improvements with businesses communicating what areas of work are going to be key for them. The current national message is a stark one – austerity policies and cutbacks mean that Torbay Council’s spending power is already considerably reduced, with worse to come over the next few years. The kind of services we all take for granted including money to support the Retail and Tourism sectors, as discretionary services, will be in question. Bournemouth has seen a reduction in resources of over £300,000 from the public sector for Tourism and Retail but has two established BIDs in place (the Bournemouth Town Centre BID and the Bournemouth Coastal BID), which bring in over £1million per annum. Similarly Cornwall public sector tourism budget has been slashed from £900,000 per annum to zero. A number of BIDs e.g. Truro, Falmouth & St Ives are working to ensure the marketing and management does not suffer as a result of this. Torbay is not immune from what is happening nationally and we need to be proactive in ensuring that we do not get left behind and that Torbay remains competitive. The TRTBID would bring in at least £1million per annum, £5million over 5 years. If Torbay businesses do not support the implementation of the TRTBID, the alternative is very straightforward – £0 over 5 years. A response to questions raised during the consultation has been written and can now be accessed on the downloads and news pages of the website: www.trtbid.co.uk as well as all other information on the Torbay Retail and Tourism Business Improvement District. Masion et Vie interiors and lifestyle is the new name for the Tooth & Claw boutique, located in Middle Street, Brixham. April 2018 saw a re-brand of our retail operation and a change of shop name to Maison et Vie. We also now offer interior design and styling services – if you are a B&B wanting to revamp or refresh rooms do get in touch. As design brand, Tooth & Claw, we also create luxurious home accessories and wallpaper collections with a glamorous, sophisticated rock‘n’ roll look…. We call it “Luxe Noir”. We have presented collections at design exhibitions in Paris and New York and our products are stocked in design/lifestyle boutiques in Europe and New York. Our backgrounds centre mainly around the design industries – Jamie’s background in web design and print design and Andrea’s background in Management & Buying for high-end major fashion and design brands. Tooth & Claw began as an online vintage home-ware webstore, in late 2012, The website was quickly picked up by the Financial Times “How To Spend It” as having “a take on the vintage look which is refreshing and original”. By Mid 2013, we had begun to concentrate more on our own range of print-based homeware products. At our very first design show in London, we were picked out by the prestigious British and European Design Group, to be one of a small group of exemplary design brands, to promote Contemporary British design to overseas markets in association with the UK DTI. 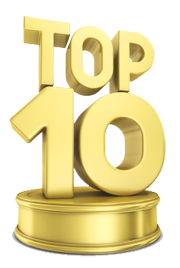 Tooth & Claw are passionate about supporting British industry, and all of our own products are proudly manufactured in the UK. As Maison et Vie, we continue to champion small design brands – bringing something new and interesting to the retail offering in Brixham.